Top quality Toolmex® cutting tool for muzzle threading. 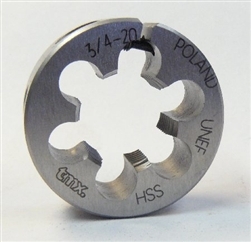 This is a #5 die (1.5in OD) for cutting muzzle threads to 3/4-20 RH. ALL CUTTING TOOL SALES ARE FINAL.